Volunteer | I Want To Help Africa, Inc. I Want To Help Africa has a strong volunteer corps and we are always eager to have more like-minded individuals like you join our ranks! There are many ways to volunteer. We are in need of volunteers to spearhead clothing and household goods drives when we send a container to Africa. This is an ongoing project. Typically we have sent a 40-foot container to Zimbabwe, Africa every two years. Free or low-cost storage space is greatly needed. In addition, we host container-loading parties, generally three months before a shipment takes place. 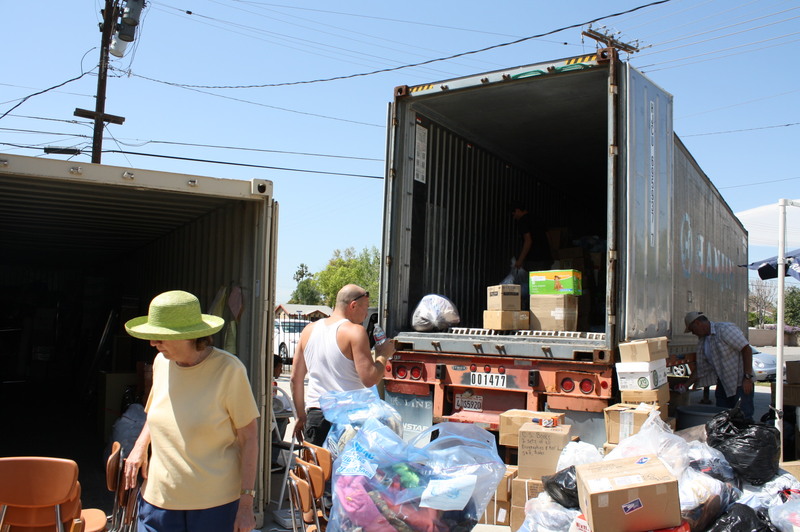 Volunteers are needed to wash, fold, and pack clothing; organize household goods; and assist with the myriad of tasks involved with sending a 40-foot container overseas. Do you have a talent you’d like to share with the community and donate proceeds to I Want To Help Africa? Volunteers are needed to host yard sales, car washes, benefit concerts, etc., with all tax-deductible donations going to support our projects in Africa. We’d love your help! What ideas do you have for assisting us? We’d love to hear about them! Please email info@iwanttohelpafrica.org and our Volunteer Coordinator will contact you shortly. Be sure to include your volunteer interests and your location!